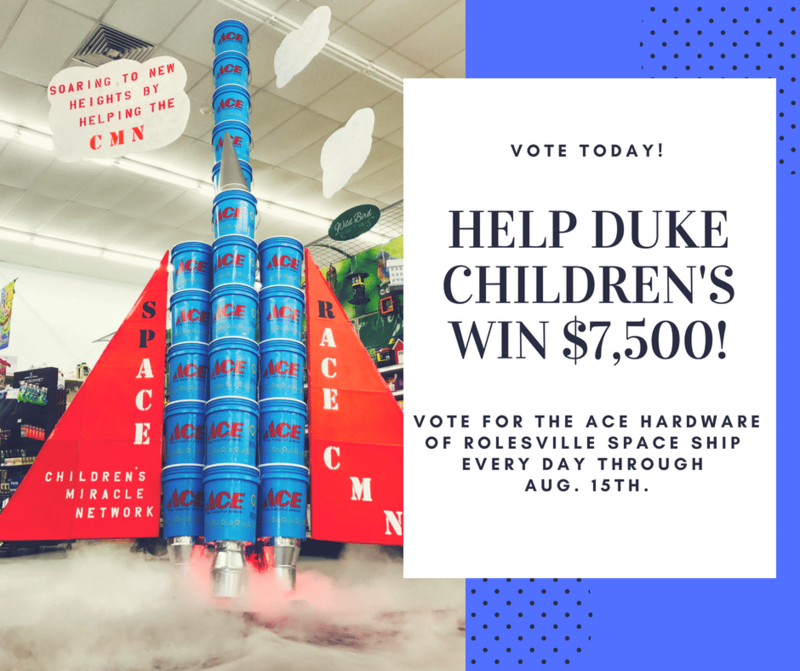 Vote for Ace Hardware of Rolesville's Smoking Space Ship! – Ace Hardware Corp.
Vote for Ace Hardware of Rolesville's Smoking Space Ship! Help Duke Children’s win $7,500! Ace Hardware of Rolesville is a finalist in the Children’s Miracle Network Hospitals Miracle Bucket Display contest. If Rolesville’s smoking space ship wins the most votes, Duke Children’s will win $7,500! We need your help to get out the vote! Vote here once per day through August 15! Previous post: Nyberg's Ace Rounds Up for Kids! Next post: Kapiolani Radiothon A Record-Breaking Success!